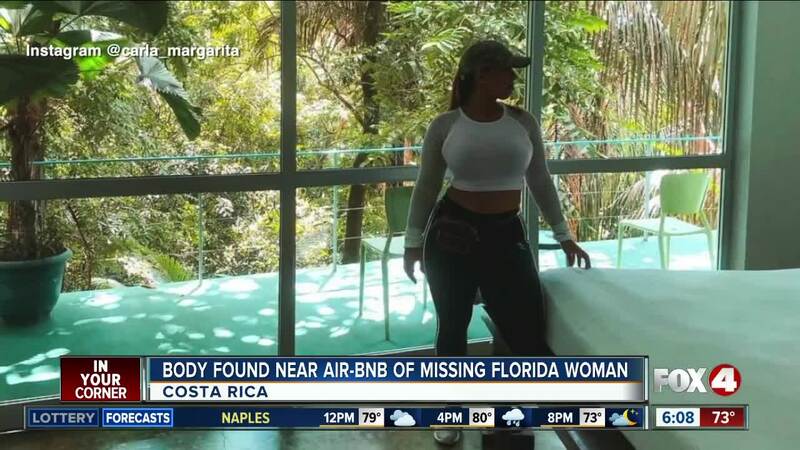 Costa Rica's Judicial Investigation Agency (OIJ) tells ABC Action News that the body was buried in a mountainous area located in the back of the property, less than 200 feet away from where Stefaniak had been staying. OIJ agents had been searching the area with specialized dogs. At this time, authorities have not been able to confirm that the body is Stefaniak. In a press conference on Monday Espinoza said that biological fluids consistent with blood were discovered inside the Airbnb property. The blood has been sent to labs for testing. She checked into her Airbnb, located at Calle Hoja Blanca, in San Antonio de Escazú for one night on November 27. According to Burton, the last thing they knew about Stefaniak was that she was inside that Airbnb on the night of the 27. The last time Burton spoke to Stefaniak, she told her that it was raining crazy and the power went out. She continued with, "it's pretty sketchy here," according to Burton. We have spoken to Airbnb officials, who say they have reached out to both Carla's family as well as the FBI, OIJ and the local embassy.